Instead, clearly-marked solder pads show you exactly where to connect the nine wires from your DB9 cord, your joystick, and two pairs of "left" and "right" fire buttons, plus the necessary 620 ohm resistors are already installed. Solder pads are also correctly spaced for standard electronic pin headers, for use either as soldering posts or for making your wires detachable. There are even a pair of solder pads that provide access to the 5.0 VDC delivered by Atari consoles for use in powering low-amperage LED illumination in fire buttons or your enclosure. 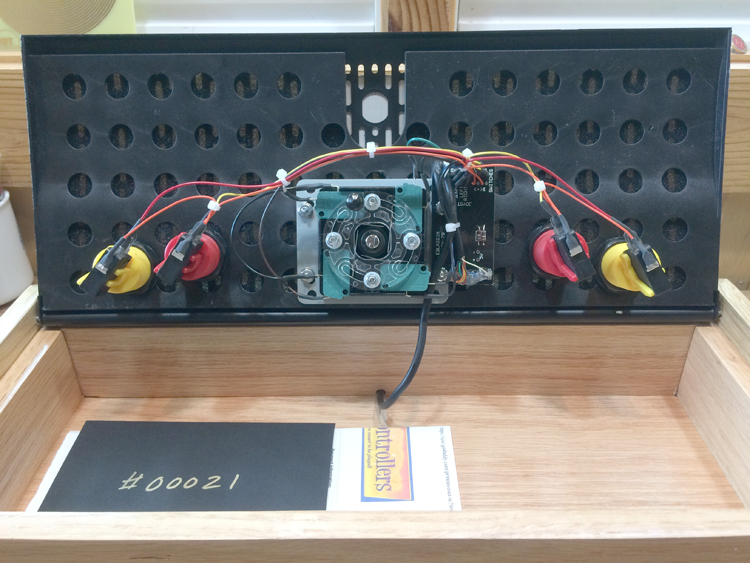 The Easy 78's mounting holes are positioned to allow the board to directly attach to two of the four corner bolts on most arcade joysticks, or the board can be attached to the inside of the enclosure. The result is virtually foolproof controller assembly with wiring that is easy to understand and looks great. Click here to download the Easy 78 Instruction Sheet. 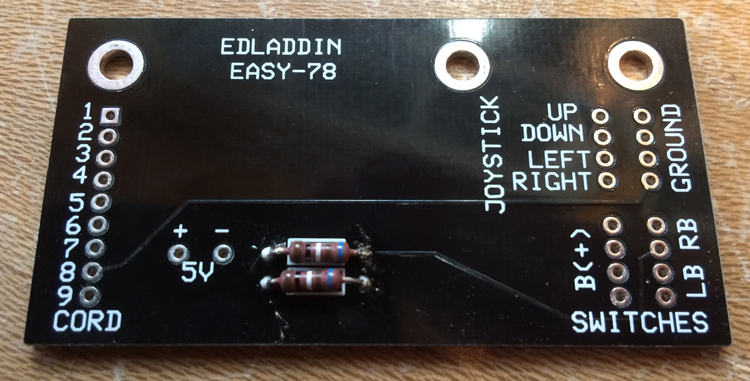 Note: The Easy 78 includes only the input/output board with installed resistors. You must provide your own controls, DB9 cord, and hook-up wire. Our Game Controller Extension Cord makes an excellent DB9 cord. Simply lop off the male end of the extension cord, then strip, twist, and tin the nine individual wires found inside.